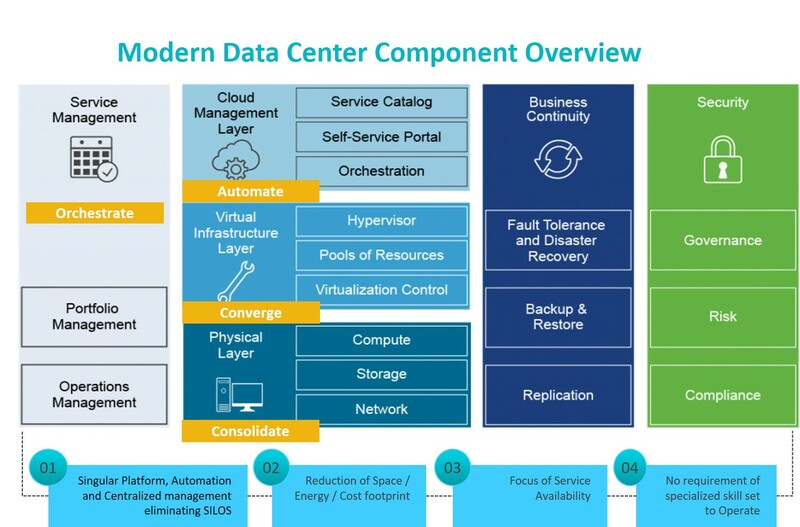 Software Defined Data Center or Modern Data Center is referred to a Data Center that extends virtualization concepts such as abstraction, pooling, and automation to all data center resources and services to achieve IT as a service (ITaaS). 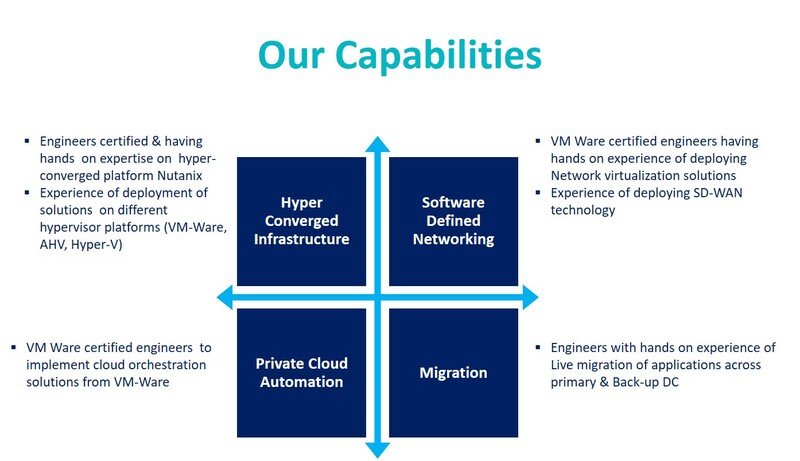 In Contrast to the Legacy Three Tier Architecture Data Center which is hardware(proprietary) driven, SDDC follows the software driven approach by using commodity Hardware and using Software to drive basic pillars of a Data Center like Hypervisor, Compute, Storage, Network, Servers. In SDDC all elements of the infrastructure — networking, storage, CPU and security – are virtualized and delivered as a services. Scale out Infrastructure using Software Defined Storage /Hyper Converged Infrastructure technologies. Scale out Network Infrastructure using Software Defined Network Technologies. We build in resiliency at every level in the stack Network, Servers, Storage, Database . Apply micro segmentation to apply network security policy based on these groups. We see DR as an essential component of Cloud/Data Center strategy and help design/build Hybrid Environment using On Premise DC (Private Cloud)and Public Cloud.